Discover the beaches and how to visit the Archipelago. 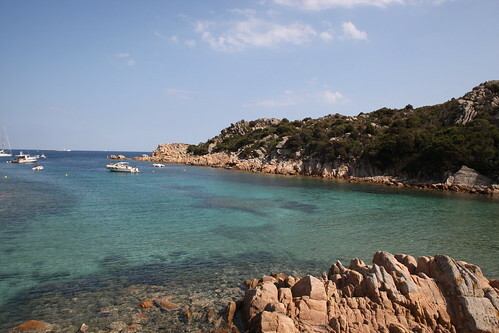 The Maddalena Archipelago is located on the north-western coast of Sardinia, off the Costa Smeralda. 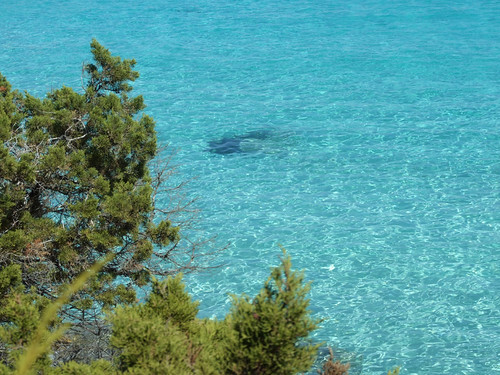 It consists of 7 major islands (La Maddalena, Caprera, Budelli, Santo Stefano, Santa Maria, Spargi, Razzoli) and other smaller islands surrounded by the beautiful clear and transparent sea. Among the bigger islands, Caprera has become popular for hosting Garibaldi during his exile: nowadays it houses his historic house-museum. The Maddalena Archipelago has been declared National Park in 1994 and is one of the most beautiful and unspoilt parts of Sardinia. The several beaches and coves of the archipelago are famous for the clearness of its waters and are very appreciated by tourists and foreigners. Cala Corsara is considered one of the bests: it is located in the isle of Spargi and is characterized by a fine white beach and clear blue sea. 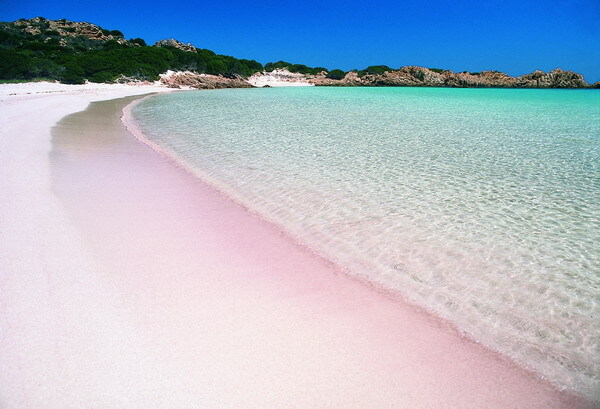 The Spiaggia Rosa (the pink beach), in the isle of Budelli, is the most fascinating: it takes name from the characteristic pink color of the sand, due to breakage of the shells of tiny marine animals. Well protected from the winds and set in splendid nature, Cala Spalmatore is among the best known and best equipped beaches of La Maddalena. Ideal for families or for snorkelling buffs, it stretches between two rocky promontories in soft shades of pink. In the western part of the island, the beach of Testa del Polpo, or ‘Capocchia du Purpu’ takes its name from its resemblance to an octopus. The waters are shallow – thus ideal for kids. 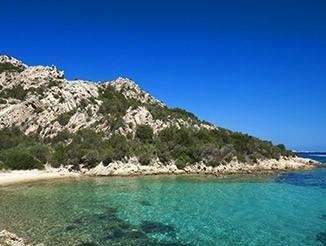 More secluded with respect to hotels, the Monte d’Arena beach is situated in the north of La Maddalena. A dream for lovers of untamed places who do not mind strong winds. Small but quite fascinating is the beach of Cala Coticcio, on the island of Caprera. Difficult to reach by land. Again on this island is the Spiaggia del Relitto which boasts the wreck of a ship used in the past for the transport of coal. On the sparsely inhabited island of Santa Maria, where just a few dozen people live year round, visitors will find a Bay with the same name, accessible only from the sea. 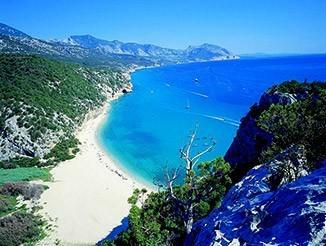 The beach boasts deep blue waters and is framed in Mediterranean brush growth. By the side of Santa Maria, divided by a narrow marine channel about one metre deep, is the Island of Razzoli. If you find yourselves in this area, pay a visit to Cala Lunga, an inlet with crystal-clear waters, and just a few sandy areas interspersed with rocks worn smooth by the waters. Boat trips are the best way for discovering the archipelago and appreciating the natural beauties. It is, of course, also a good chance to dip into its beautiful waters. 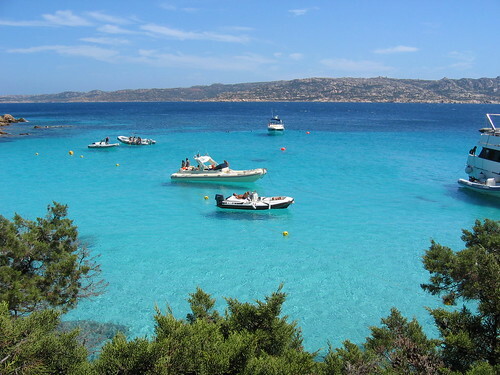 Visit the Island of La Maddalena: ferry boats leave every day from Palau. The average cost is 20 euro for a vehicle and two passengers. On your arrival, visit the town, the beaches and the house of Garibaldi, the General who united Italy, hitherto divided into communes. Visit the Archipelago of La Maddalena: there are two ways of exploring all the islands by boat: an organised tour or rental of an inflatable. The tours last a whole day and are based on the following itinerary: the beach of Cala Corsara to the Island of Spargi, the beach of S. Maria to La Maddalena, Pink Beach at the Isle of Budelli, visit to the historic centre of La Maddalena. The trip takes place on a 50-passenger boat. As an alternative, there are also boat trips by inflatable for 12 persons. You can also rent a low-powered inflatable you can use independently as it does not require a boating licence. 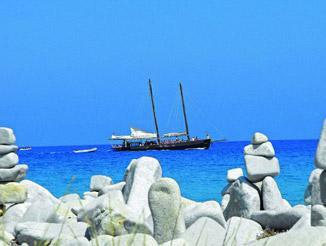 If you wish to know more about the beauties of Sardinia, download now our free Travel Guide!